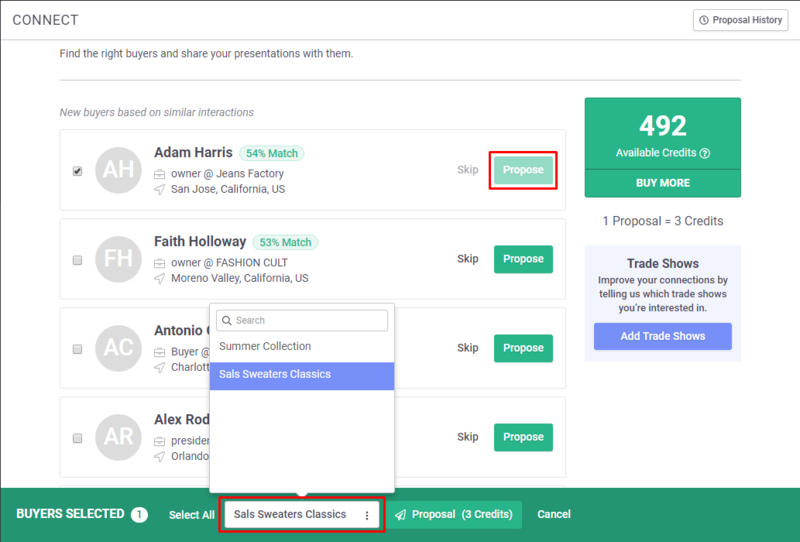 On the Connect page, click "Propose" on one or more recommended Buyers or check their boxes along the left. A green panel will appear along the bottom of your screen, allowing you to select a Presentation to send. Note the amount of credits to be deducted and click "Proposal" to send the Presentation to the Buyer.